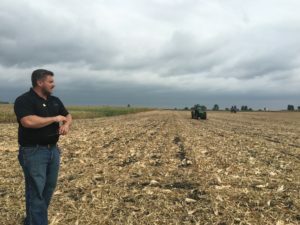 Driverless cars may take over most of the national headlines these days, but an Iowa software company is betting that autonomous vehicles can make a much larger impact off the highways and in the fields. Ames-based Smart Ag debuted its AutoCart cloud-based software platform on Tuesday at the 2018 Farm Progress Show. 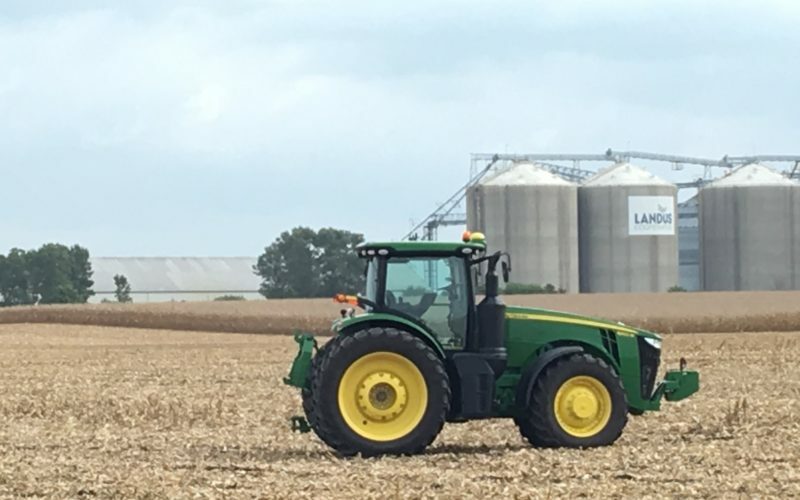 On the edges of the showcase grounds, visitors got a glimpse of a newly autonomous John Deere tractor circling the demonstration field, pausing as a manually operated combine crossed the tractor’s automated path. Ten partner dealers in the Midwest will start carrying the AutoCart system for sale this fall, at a price point between $35,000-40,000. The system is already available for preorder online. AutoCart’s system interfaces directly over the controls in an existing grain cart tractor. From a tablet, combine operators set staging and unloading points for the AutoCart system to abide by – the system then calculates the route for the tractor to follow. Meanwhile, operators can keep track of the AutoCart directions through their tablet in the combine’s cab without having to manage controls over two vehicles at once. In May, Stine Seed Farm Inc. announced a $5 million investment in Smart Ag, joining the Ag Startup Engine, Ag Ventures Alliance, Summit Agricultural Group, the Iowa Farm Bureau Rural Vitality Fund II and angel investors in Smart Ag’s circle. Since that announcement, the team has focused on building out facilities and talent within Smart Ag, Hurd said. 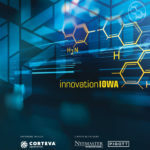 The company says it has secured state funding and a match from the city of Ames to build dedicated manufacturing, warehouse and office facility in about 15,000 square feet. Taking questions at the demonstration Tuesday, Barglof said the technology is not a good fit for farmers seeking to replace hired workers, but is an answer to farmers lacking enough staff to drive grain carts during harvest.